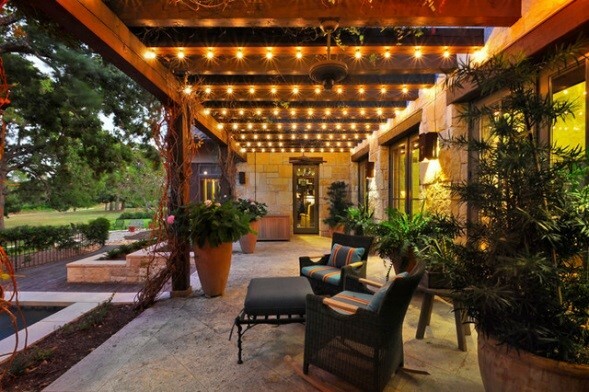 String lights are a beautiful and easy way to brighten up outdoor areas at night. They are also very budget friendly! 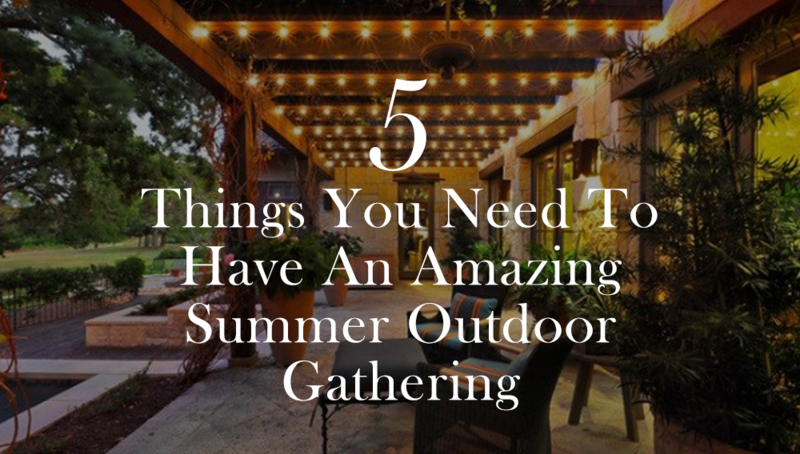 Having an incredible outdoor dining area for summer parties might be one of the best ways to spend your evenings. 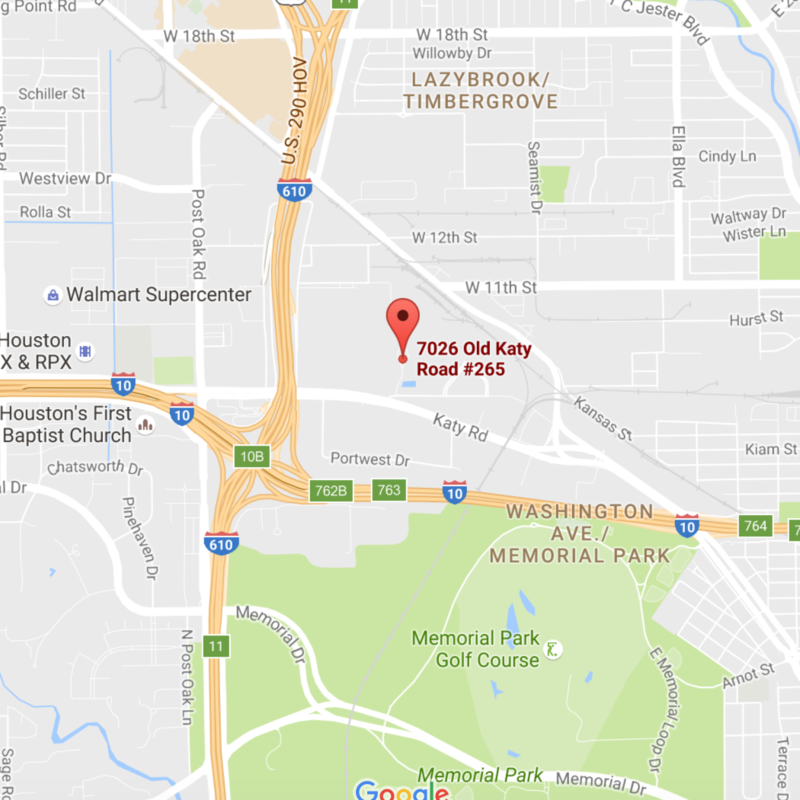 It creates an intimate setting where people can enjoy food and conversation. 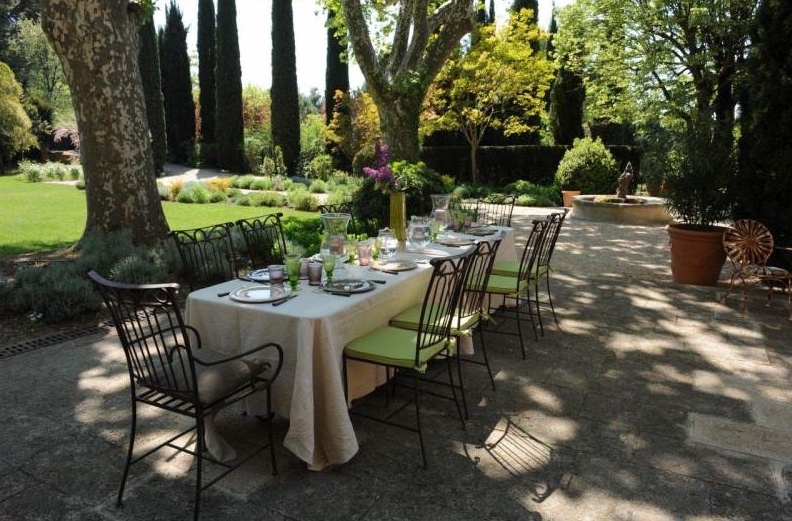 Give your outdoor dining set a fresh new look with a trendy summer table cloth, colorful plate settings, and fresh flowers. We can’t all afford to have a bar tender at our weekend parties but, you can still serve your liquor in style with an outdoor bar cart. 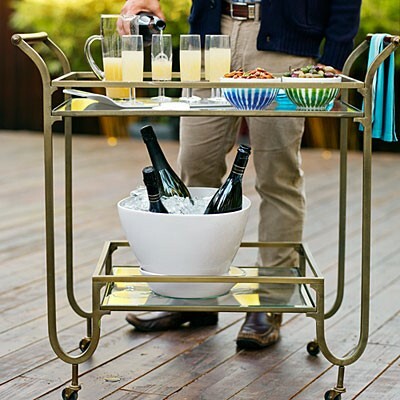 Find a cart with wheels to make serving summer drinks that much easier. The one thing that could ruin a perfect evening is pesky mosquito’s! Citronella candles naturally repel mosquitos while adding a prefect warm touch to summer evening. 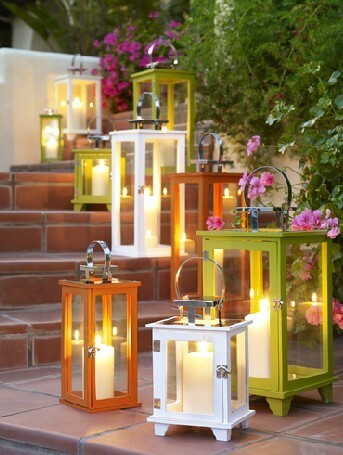 You could even disguise your candles in a lantern, glass jar, or decorative candle holder. Add the relaxation of an outdoor waterscape to your entertaining area. 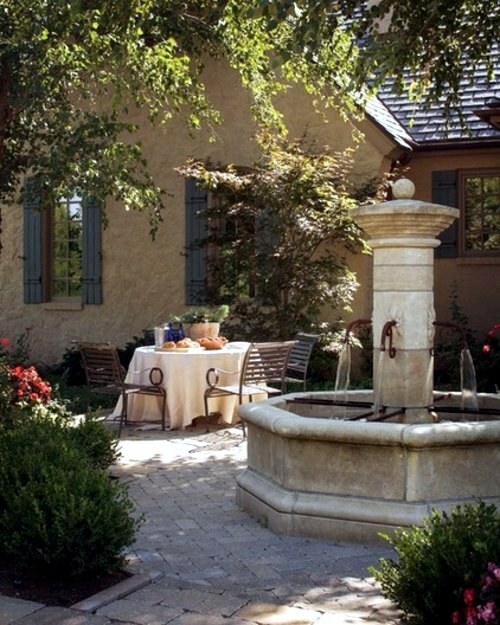 Whether it be a small tabletop fountain or a larger sculptural masterpiece, nothing is more relaxing than the sound of water!